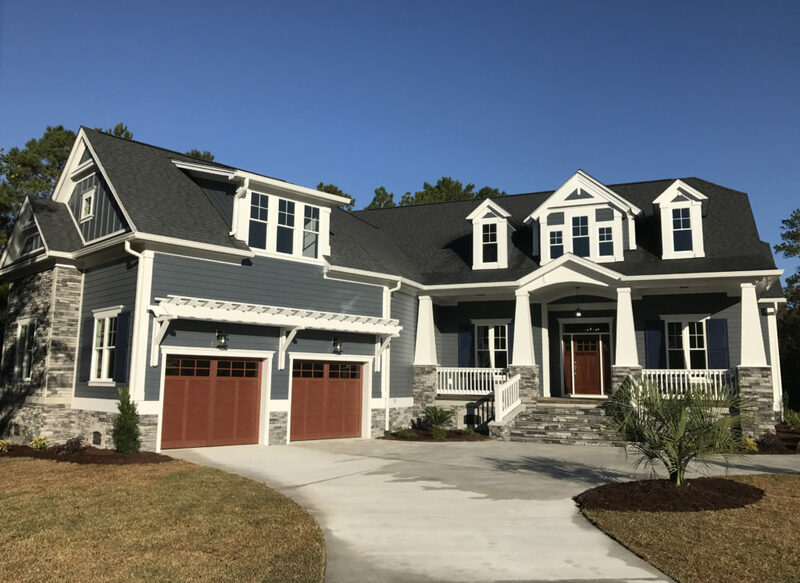 The Ocean Ridge Plantation Developer and Mark Saunders Luxury Homes is pleased to announce another fine home has been completed in the community. This new home was beautifully designed and constructed by the team at Mark Saunders Luxury Homes. “Building our “dream home” from a distance is a daunting task. We met with and vetted multiple builders to build our retirement home in Ocean Ridge Plantation, and had several different builders do preliminary designs. At the last moment, we purchased a different lot which changed the viewpoints from the house. That very weekend, Anthony Carr went with us to the new site to review and discuss options to the original design. Anthony was fantastic to work with; he adjusted the porch and deck locations to take advantage of the golf course and pond views. Anthony would send me a layout, I would mark it up and provide suggestions which he would then incorporate into the plan. We had these exchanges for several months and developed a beautiful final design. We were continually drawn back to the MSLH design and made the final decision to have them construct our home.